Bernhard Law Firm examines the necessity of existing physical barriers to create standing under Title III of the American Disabilities Act (the “ADA”). Title III of the ADA provides that no individual shall be discriminated against on the basis of disability in a place of public accommodation, requiring removal of physical barriers at public commercial facilities. 42 U.S.C. § 12182(a). Should your business or property face an ADA lawsuit, please contact Bernhard Law Firm at 786-871-3349, abernhard@bernhardlawfirm.com, www.bernhardlawfirm.com. Standing to sue is part of a common understanding of what it takes to make a justiciable case. Steel Co. v. Citizens for Better Env’t, 523 U.S. 83, 102 (1998). Standing is established as of the time of the complaint. See Friends of the Earth, Inc. v. Laidlaw Envtl. Servs. (TOC), Inc., 528 U.S. 167, 191 (2000). The constitutional minimum of standing requires three elements: (1) “injury in fact”—a harm suffered by the plaintiff that is “concrete” and “actual or imminent, not ‘conjectural’ or ‘hypothetical;’” (2) causation; and (3) redressability—a likelihood that the requested relief will redress the alleged injury. Steel Co. v. Citizens for Better Env’t, 523 U.S. 83, 102–03 (1998). This triad “constitutes the core of Article III’s case or controversy requirement, and the party invoking federal jurisdiction bears the burden of establishing its existence.” Id. at 103–04. Source: NTSB This World Wide Web (WWW) site is provided as a public service by the National Transportation Safety Board, and contains public information that may be distributed or copied unless otherwise specified. Any plaintiff’s alleged injury in a ADA Title III action is the existence of certain enumerated physical barriers at the defendant commercial facility, and the inability to return to and access services at the commercial facility due to these physical barriers. ADA Title III plaintiffs can generally request as a remedy only two things: (1) that the court issue an injunction requiring the facility owner to remove the enumerated physical barriers to the extent required by the ADA, and (2) attorney’s fees and costs. 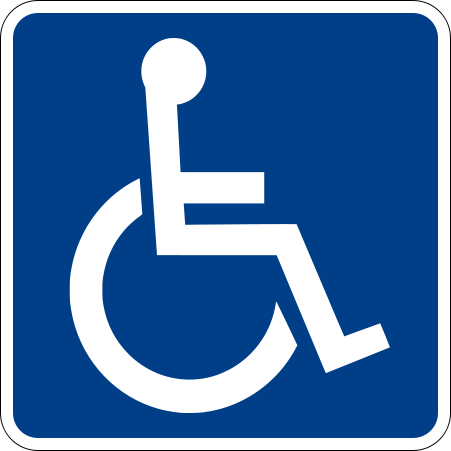 Where the facility owner has redressed all of the ADA-required barrier removal before a plaintiff files the action (often in response to the plaintiff’s initial visit to the facility), the court cannot grant this relief. As the Supreme Court has held, “[r]elief that does not remedy the injury suffered cannot bootstrap a plaintiff into federal court; that is the very essence of the redressability requirement.” Steel Co., 523 U.S. at 107. As the Supreme Court has also repeatedly held, “[p]ast exposure to illegal conduct does not in itself show a present case or controversy regarding injunctive relief . . . if unaccompanied by any continuing, present adverse effects.” Steel Co., 523 U.S. at 109; see also Renne v. Geary, 501 U.S. 312, 320 (1992) (“The mootness exception for disputes capable of repetition yet evading review . . . will not revive a dispute which became moot before the action commenced”). Because a plaintiff cannot tenably sustain an action for a continuing violation where the facility owner has already removed physical barriers, injunctive relief will not address his injury. 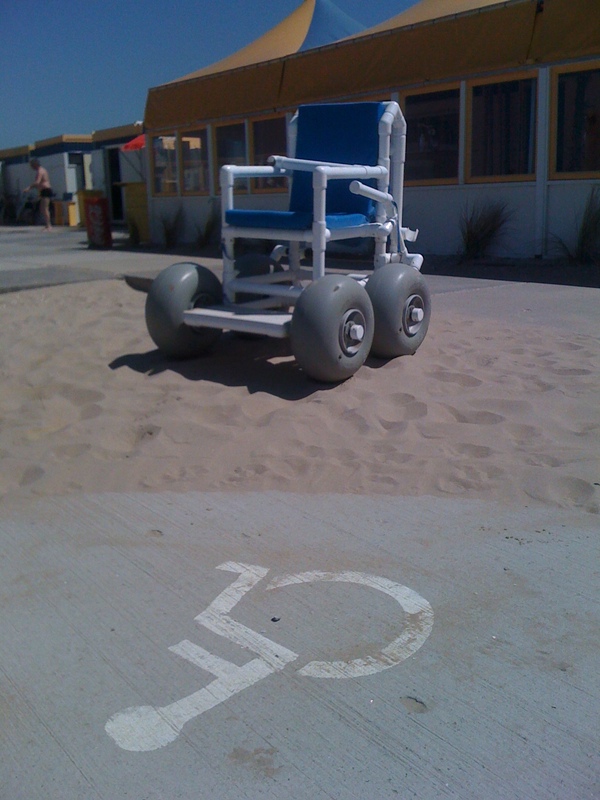 Wheelchair designed with wide wheels for traveling on beach sand. Available to rent to use at this beach, in the Netherlands. Although a plaintiff may argue that the injunctive relief requested will constitute remediation because there is some presumption of future injury when a defendant has voluntarily ceased its improper activity in response to litigation, even if that occurs before a complaint is filed, the Supreme Court has already held against application of the mootness doctrine in this manner: “[it] is an immense and unacceptable stretch to call the presumption into service as a substitute for the allegation of present or threatened injury upon which initial standing must be based,” and to accept this view “would be to overrule our clear precedent requiring that the allegations of future injury be particular and concrete.” Steel Co., 523 U.S. at 109 (1998) (“the mootness exception for disputes capable of repetition yet evading review . . . will not revive a dispute which became moot before the action commenced”). Although a plaintiff may also argue that relief could still be granted for unlisted and unknown physical barriers that exist at the commercial facility but have not been removed, ADA plaintiffs do not have standing to complain about alleged barriers of which they were unaware at the filing of their complaint. Wein v. St. Lucie County, 461 F. Supp. 2d 1261, 1265 (S.D. Fla. 2006). As several courts in the Southern District of Florida have explained, a “[p]laintiff’s entry into the [facility] does not automatically confer upon him a presumption that he was injured by any and all architectural barriers therein; his entitlement to relief depends on his showing that he was in fact injured, or subject to discrimination, as a result of the alleged violations.” Wein, 461 F. Supp. 2d at 1265; Access Now, Inc. v. So. Fla. Stadium Corp., 161 F. Supp. 2d 1357, 1365 (S.D. Fla. 2001). NTSB This World Wide Web (WWW) site is provided as a public service by the National Transportation Safety Board, and contains public information that may be distributed or copied unless otherwise specified. Steel Co, 523 U.S. at 107 (quoting Lewis v. Continental Bank Corp., 494 U.S. 472, 480 (1990)). 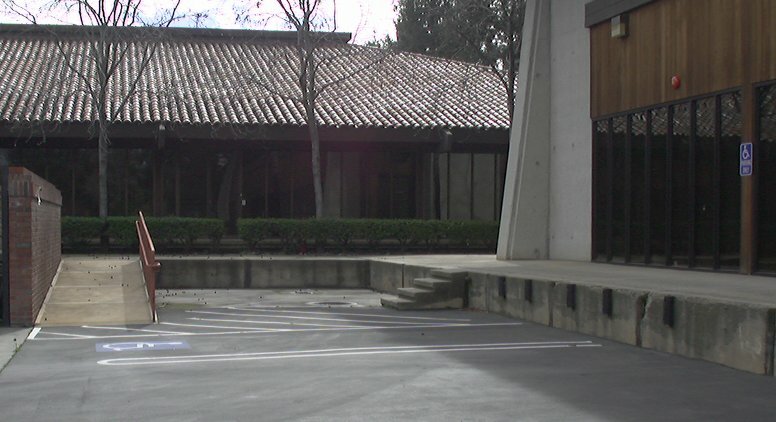 Thus, where a facility owner has removed cited physical barriers and none of the relief sought by an ADA Title III plaintiff will likely remedy his alleged injury in fact, a court must conclude that the plaintiff lacks standing to maintain this suit, that court lacks subject matter jurisdiction, and that court should dismiss under Federal Rule of Civil Procedure 12(b)(1). 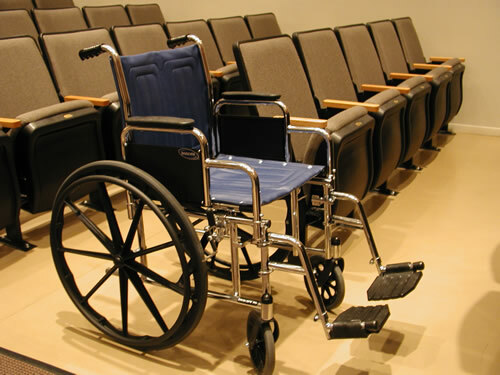 Should your business or property face an ADA lawsuit, please contact Bernhard Law Firm at 786-871-3349, abernhard@bernhardlawfirm.com, www.bernhardlawfirm.com.